So much to say, and not nearly eloquent enough to put into words. So I will just ramble along as I am wont to do. It seems to work most of the time. As I have traveled over the world, I have been pleasantly surprised by the respect people have for our holiday. Sure, Germans all thought we had cowboy boots and Stetsons and lived like Dallas, (didn’t help that Hubby did have a Stetson and cowboy boots, either), but they understood how important, and how vital our Revolution was. In Crete, a lady at a local shop sold beautiful handmade rugs, of which several were done in an American motif (not exactly a flag, but rather the colors and the stars). She told me her dream was to visit the US, and I do hope she was able to do so. In Poland, Americans are welcome as long-lost brethren! We were told stories how once The Wall came down, the people began to basically overdose on our Western culture. There is not a single pottery maker who does not fashion his or her own American design, either. You walk into a bar identifying yourself as an American, and the vodka flows. And in Luxembourg… the men and women still thank you for what we did for them, and for what we stand for. As beautiful and as solemn as Normandy in places. 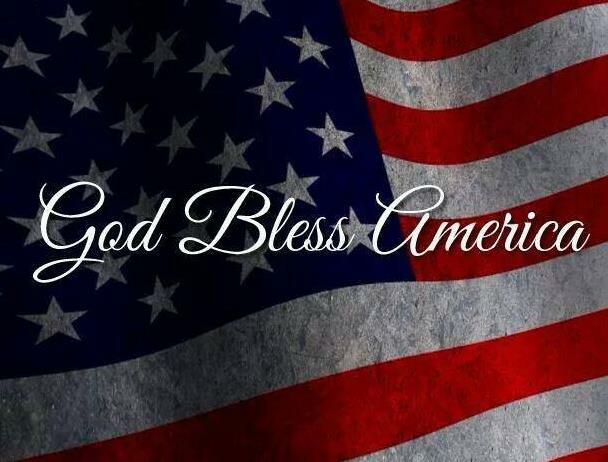 Every year, I am grateful that I have been so blessed as to be born an American citizen. Scores of people all over the world, some of them close friends, are still waiting patiently for the process towards citizenship to begin. I pray every day that the wheels turn a bit faster for them, because they know already what it means to be an American, and are willing to sacrifice for the chance at becoming one. 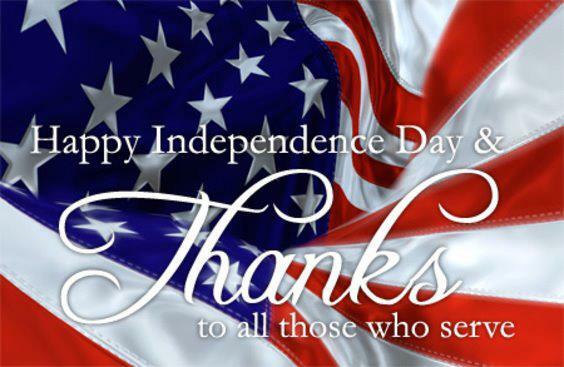 May y’all have a wonderful Independence Day and please, take some time to appreciate the sacrifices so many made for our country. 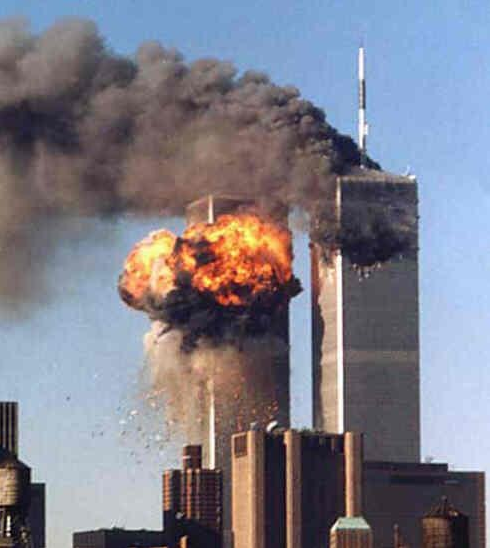 On this day thirteen years ago, our enemies struck at the heart of our nation. That day, a campaign against terror began in our people with steady resolve. We began to gather together not just to mourn, but to begin to understand why. Our mistake was thinking that this was some complex act of war, when the truth was they just want us dead. A political ideology cleverly disguised as a religion decided that it cannot let those who do not believe the same ideology exist. War had been declared against Western Civilization. And so, we went to war. We took the fight to the root, and began a long campaign on two fronts. And we were not alone. Countries who not only lost their own in the attacks but who also saw the potential danger of ignoring the seed of evil now flowering in that desert joined us in the fight. WE WERE NOT ALONE. For a time the world understood that this was an act against civilization, not just one country. And we fought overseas, and at home. We fought the rising tide of fear and distrust, as well as the inevitable slide into ignorance and complacency. And through it all, we stayed strong in the face of indifference and political expedience. Thirteen years later, the fight that was declared “ended”, though not “won” has flared again with the help of inaction and political correctness. The fear of offending has paralyzed many to the point where they declare that these people are not terrorists. We now have to win wars by winning the heart and minds of people who have been indoctrinated to kill the infidels. This war is not over, it is not ended, and certainly it was not won. Terrorists are still declaring war on us, and killing our people, instigating a genocide and even killing those who they believe not to be muslim enough. And so I ask, when will our government learn? They want us dead. And they won’t stop until the Western World stops them. Completely. Yesterday I was doing some grocery shopping. Kids were complaining of a decided lack of sustenance in the pantry, mainly junkfood. I was complaining of a decided laziness in their bones that prevented them from actually cooking what was available. But I was running very low on coffee and creamer and decided my needs outweighed my crankiness, so off I went to Walmart. Why there? because I didn’t feel like putting on make-up, ok?? Anyway, I got some general school supplies, some new anti-wrinkle cream, just random crap. Eventually I make it to the coffee aisle, whereupon I begin to make my selections: Donut House coffee and some hazelnut cappuccino for Eldest. Standing in front of the vast selection of K-cup coffee is an older couple, looking a bit dazed and confused. Having been in a similar circumstance when I first got my Keurig™, I decided to offer any help in picking out coffee. I’m not a connoisseur by any means, but I figured I knew a bit more than they did. I asked them if they needed any help, and the gentleman turned to me to thank me and asked me for advice. That’s when I noticed his cap. He was a Marine, and had served in WWII and Korea. He was a little stooped, but when I asked him about his service he stood a little more straight as he spoke of his time in the Marines. He never spoke of the gore and the violence, though. He talked about the field, and his friends, and how even now he sometimes put coffee grinds between his gum and cheek so he wouldn’t wake his wife by using the coffeemaker. He talked about how the only fights he had were over who got the first cup of joe before patrol (first one done, was first one out on patrol). Coffee, he said, kept him sane and kept his world going. As I shook his hand to wish him well, he noticed my Aggie ring. He asked what class I was, and then proceeded to tell me of the Aggies he knew from his time in service: the Aggie who rescued cattle at the expense of a truck’s tires; the Aggie who made pigeon stew; the Aggie who sang before battle. He told me that every Aggie he knew was made from something he could never define, but that was easily recognizable. I told him I felt the same way about my Marine friends. He laughed and told me I was probably right. As I thanked him for his service, he asked me to thank my husband for his. When I asked him how he knew my husband was in the service, he pointed to my purse: Hubby’s Purple Heart, which I always carry with me, was sticking out. I laughed and thanked them both for a lovely time spent in the coffee aisle. They waved and wished me a good day. In truth the medal could have been my dad’s or my brother’s or mine. But he is a gentleman of another era who learned that only men go into combat. His memories will soon leave us without record but that of what he chooses to leave behind. In that moment, I felt very small. I had been in the presence of greatness by virtue of history. I pray his story is told for a long time, and that children learn good things from it, like the reason those men fought over a cup of coffee. Let’s remember what our forefathers were fighting, against and for. It seems that lately we are forgetting to bless what we have. We have forgotten why we fought for independence. We have forgotten to be not just a beacon but also an example to others who are struggling to be free. Instead we find ourselves wondering what the government will do for us now, and how it will take care of us. We need to remember that WE are the stewards, not the government. WE THE PEOPLE. We need to begin taking care of ourselves again. Remember: that which gives you everything, can also take it away. The Tree of Liberty seems to be wilting, and it may be time to water it again. A profound and heartfelt thanks. For my husband, and my brothers-in-law, my neighbors, and my friends. And for my brother Draco, who never failed to call and thank all of those he knew. We can never repay what you have sacrificed for your country. No matter how hard some people try to make this a day of service, or a sale at a store, this is no ordinary day. 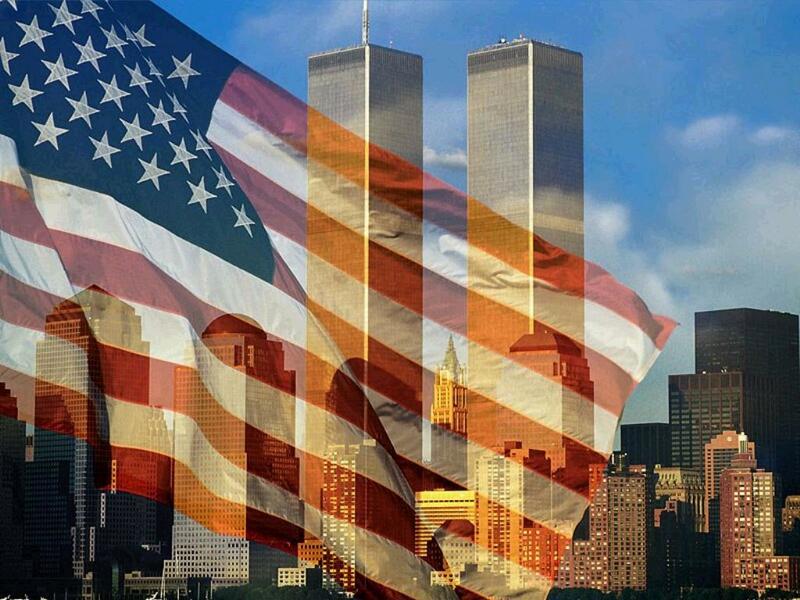 On September 11th, we always remember. And eleven years after that, another attack which left four Americans murdered in Benghazi, Libya. Forgetting lets evil win. Never, ever forget, and make sure to never let those who would choose to dismiss it forget, either. Let us remember the sacrifices that helped build this country. Remember, we have a Republic. Let’s work to keep it. Today is the day my husband gets his Eagles. He has worked hard, and achieved more than most. 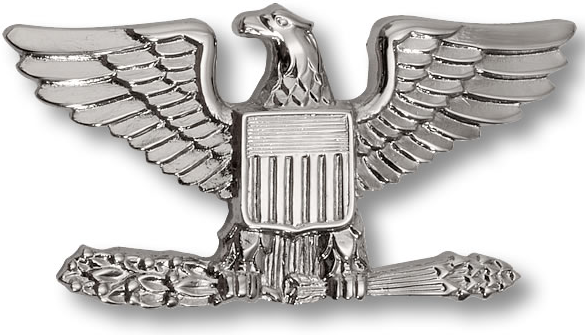 His dedication to the U.S. Army and his department is deep, committed, and unquestioned, just as it is with his family. And his loyalty extends to all, regardless of rank or affiliation. He is a true soldier. My heart swells with pride, knowing he has reached another milestone in his career. His peers and superiors have expressed not just their congratulations, but also the hope and desire that he continue in this path towards the next level. And that is achievement indeed. 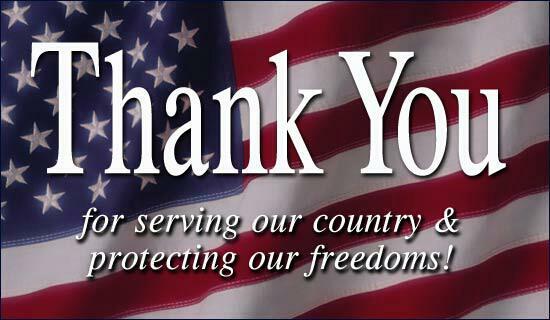 The most prominent debt we owe, is the gratitude we owe them. Yep, I voted, for it is my PRIVILEGE as a citizen. Remember, my friends: we live in the greatest country on Earth! !